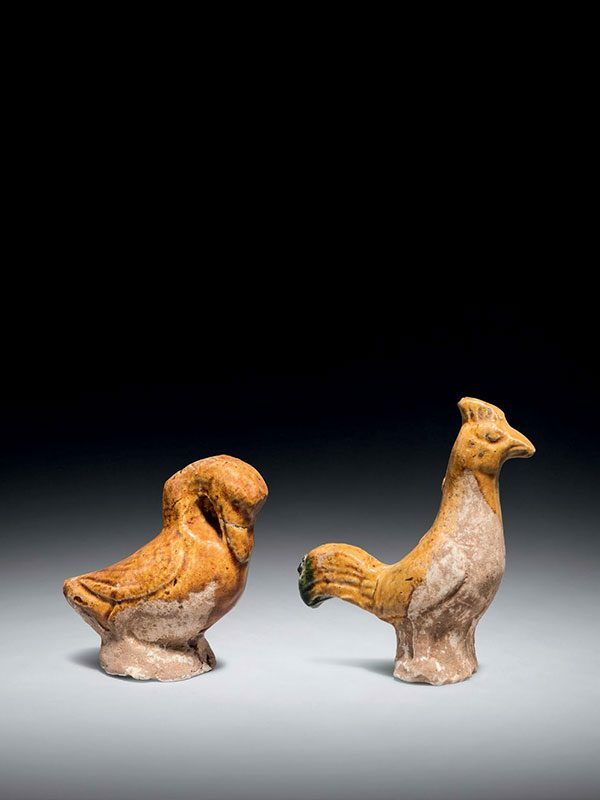 Two miniature pottery birds, one representing a standing duck, supported on a tubular base, with a long neck slightly bending down and its head pointed towards the ground, its pointed beak and feathery wings well defined. The other represents a cockerel, which is also supported on a tubular base. The exterior of both birds is covered with a layer of lustrous amber glaze, stopping unevenly around the lower part of the body, revealing the buff pottery body. The end of the cockerel’s tail is highlighted with green glaze.